Launched in 1995 and still retaining all founding members, the Goldner String Quartet is recognized as an ensemble of international significance. It has performed throughout Australia, UK, Europe, USA, the Asia-Pacific, and NZ. 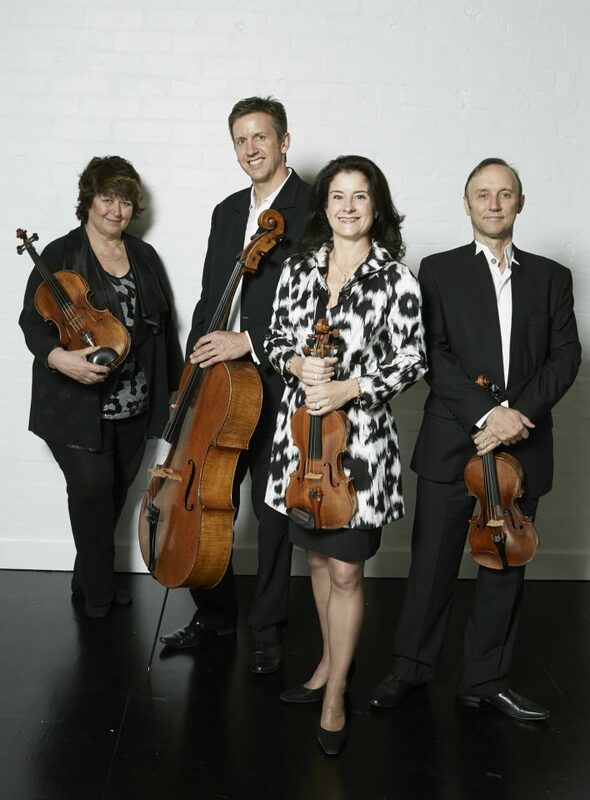 Named after Richard Goldner, founder of Musica Viva Australia, the musicians are also well known for their concurrent membership of the Australia Ensemble @UNSW. They regularly appear at major festivals around Australia and are Quartet in Residence at the Australian Festival of Chamber Music. The Goldners have several critically acclaimed CD releases on ABC Classics, Tall Poppies, Naxos, an ABC DVD documentary, ‘The Quartets’ with Peter Sculthorpe and together with acclaimed UK-based pianist Piers Lane, 9 discs of Piano Quintets and String Quartets for prestige UK label Hyperion, several of which have received either the Diapason D’Or, or Editor’s Choice in BBC Music Magazine and Gramophone. Major projects have included a retrospective of 20th Century string quartets and the complete Beethoven Quartet cycle, which was recorded live and won the 2009 Limelight award for ‘Best Classical Recording’. New works have regularly been commissioned for the Goldners from many of Australia’s leading composers. The internationally acclaimed Goldner String Quartet is seeking your support to help fund its UK concert tour and recording project in November/December 2018.